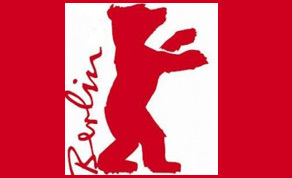 The 2019 Berlin International Film Festival (Berlinale) is underway with a number of Irish productions set to feature at the festival based in the German capital, which runs until February 17th. Screen Ireland will spearhead the Irish entourage that are attending the festival by hosting the Irish Film 2019 stand at the European Film Market (EFM). A number of Irish Films are slated to sell at the European Film Market, which runs from February 7th-15th in conjunction with Berlinale. Neasa Hardiman’s ‘Sea Fever’ (Fantastic Films) and Mike Ahern & Enda Loghman’s ‘Extra Ordinary’ (Blinder Films) are both being handled by Epic Pictures, while Mark O’Halloran’s ‘Rialto’ (Marcie Films) is being handled by The Bureau Sales. Sean McCormack’s ‘Ooops! Back in the Deep End’ (Moetion Films) is being handled by Global Screen & Eyescream Entertainment, while John Butler’s highly anticipated third feature ‘Papi Chulo’ (Treasure Entertainment) is being handled by Bankside Films. Canadian sales agent Seville International has recently been revealed as the representative for Aoife Crehan’s new comedy ‘The Last Right’, which is being produced by Paul Donovan of Deadpan Pictures, Pippa Cross of Crossday Productions and Casey Herbert of Bright Cold Day Films. Seamus Murphy's ‘A Dog Called Money’ and Kim Longinotto's ‘Shooting the Mafia’ will screen in Official Selection at the Berlinale, alongside a host of other Screen Ireland titles also screening and listed below. Click here for a complete list of Screen Ireland titles screening and selling at EFM. Adapted from Kevin Barry's collection of short stories, Dark Lies the Island follows the characters in a long standing family feud in a small Irish town over the course of a week.